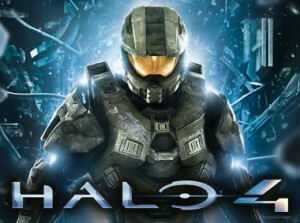 Halo 4 Will Release In November 2012 on XBOX!!! The countdown has begun for the landmark entertainment event millions of fans worldwide have been anticipating for more than four years. “Halo 4,” the hotly anticipated sequel to the iconic franchise that has shaped entertainment history, will launch worldwide on Nov. 6, 2012. This is known as Election Day! “Halo 3,” the biggest consumer product launch of all time when it released in 2007,2 concluded the original game trilogy, but left many unanswered questions around the fates of the series’ beloved hero, the Master Chief, and his artificial intelligence companion, Cortana. On Nov. 6, fans will experience the next chapter of the iconic franchise. This entry was posted on Wednesday, April 18th, 2012 at 12:36 pm	and is filed under News. You can follow any responses to this entry through the RSS 2.0 feed. You can skip to the end and leave a response. Pinging is currently not allowed. « Robert De Niro and Michael Douglas To Team Up For ‘Hangover’ type Comedy?!?! ?